Hormone	imbalance	can	be	extremely	challenging	to	deal	with. Yet	it	is	frequently	overlooked	as	a	primary	cause	of	fatigue,	brain	fog,	slowed	metabolism, and	low	mood	in	women. Even	if	hormone	imbalance is	identified,	it	is rarely	treated, meaning	thousands	of	women	are	left	suffering	unnecessarily. For	me,	the	all encompassing	fatigue	I	experienced	was	something	that	affected	my	ability	to	function	every	day. The	Power	of	Hormones is	a	hormone	health	&	wellness	program that	was	created to	enable	women	to	re-balance hormones	for optimal	health. 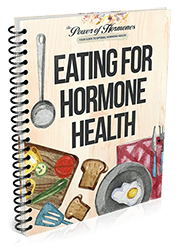 Readers	are guided	step-by-step	through	the	diagnosis	and treatment of	many	hormone	imbalance	conditions,	including	Adrenal	Fatigue,	Estrogen	Dominance,	and	Thyroid	Disorders. Now	is	the	time	to	discover	how	to	feel	healthy,	happy,	and	energised	again	with	The	Power of	Hormones. Women Deserve Better. Hormone Imbalances Do Matter. Optimal hormone health ensures good quality sleep – falling asleep quickly at night, not waking during the night and waking up refreshed and full of energy in the morning. The wrong balance of hormones can slow or speed up metabolism. Finding the perfect balance of hormones is important for ensuring a healthy weight. One of the more common symptoms of unbalanced hormones is a low mood and high anxiety. And it is not uncommon for a diagnosis of depression to be given if hormone levels are not checked. Healthy hormone balance = a happy mind, body and soul. 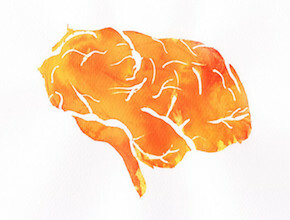 Optimal hormone health allows the brain to function quickly and efficiently without any foggy or fuzziness. An optimal level of hormones within the body is important for intimacy within relationships. Hormones play a critical role in stimulating desire and passion in relationships. Healthy hormone levels ensure hair, nails and skin are in perfect condition – shiny, strong and blemish free. 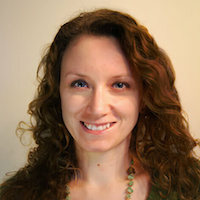 …women’s health researcher, author, and former long-time sufferer of hormone imbalance issues. Just a few years ago, I was a different woman. I was in my early thirties and had just had my third child. My daughter had finally started to sleep through the night, and I was so relieved because I thought that with a decent night's sleep I would start to feel more energetic. But as time went on and my children didn't need me during the night, I realised I was still struggling with my energy levels. I seemed to wake up exhausted and had to drag myself through the day, only to fall into bed at night and then be tortured with insomnia. I knew that exercising every day was meant to naturally boost energy levels. So I walked and I walked, for miles every day. But still, nothing changed. Not only was I exhausted, I was also disheartened that none of the walking seemed to be helping me to lose any 'baby weight'. In fact, I felt bigger than ever. And the worst part about it all was the guilt I was feeling as a mother. I had 3 small children who needed me… who wanted me to play and to give them cuddles in the middle of the night. But most of the time I just couldn't do it. I was too tired, and seemed to spend the whole time they were awake waiting for the time they would go to bed. Yes, one of the key things you need to know is what to ask for in regards to hormone testing. But what’s even more important is being able to interpret your own test results. I’ve made sure that this is completely covered within the Power of Hormones program. This wasn't the life I had imagined for my children. I had always thought I would be one of those active, fun loving mothers I saw all the time at daycare... not one that was constantly struggling to keep it together. 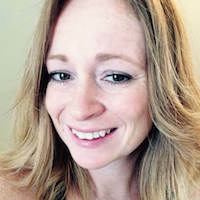 As a woman who has struggled with hormone-related conditions from the age of 14, including Polycystic Ovary Syndrome, Hashimoto’s Disease, and later Endometriosis, I felt sure that once again my hormones were at the root of the problem. Feeling desperate for help, I went to my doctor, hoping that she would be able to tell me what was going on. She said all the right things, ordered hormone blood tests, and ruled out Postnatal Depression. How can that be right? Surely there has to be a reason for why I feel so tired all the time, not to mention the weight I can't stop piling on? I felt like my head was going to explode. I knew deep in my heart that what I was feeling was NOT 'normal' in any way. Yet, she did not see a need to investigate further. In desperation, I asked if there was anything else that could possibly help. Reluctantly, my doctor put through a referral for me to see an Endocrinologist. She was doubtful it would help as my blood tests did not appear abnormal, but still I was hopeful for answers. Unfortunately, the appointment was a complete disaster. The endocrinologist barely listened to what I had to say and sent me out the door telling me I had depression and a sleep disorder - which I just knew wasn’t right. At home, I dissolved into tears of frustration and despair. Deep down I knew I wasn't going crazy - there is no way this exhaustion, weight gain, and moodiness was “normal”. Something had changed following my last pregnancy to make me feel like a completely different person. I knew this wasn't the real me... it was my HORMONES. And I was fed up with letting them ruin my life. So, I threw myself headfirst into finding out what the experts hadn’t been able to tell me. One of the first things I questioned was what it actually MEANT for a hormone test to be defined as NORMAL versus ABNORMAL. And I was shocked to discover just how huge the ‘normal’ range was for most hormones. Looking back at my test results, I could see that some of my hormone levels were at the very low or very high end of ‘normal’. So although it hadn’t raised any red flags, I wondered… was it really HEALTHY? Over the next few weeks, I must have read hundreds of scientific journals in the field of endocrinology, to find out everything I could about hormone imbalance in women. 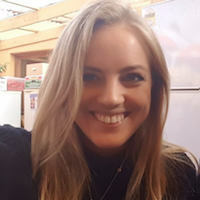 I also got the opinions of several other medical professionals, including an amazing doctor who specialised in women’s health and openly embraced naturopathic medicine as part of her practice. ‘Normal’ does NOT mean ‘Optimal’. And only once a woman has reached the Optimal Hormone Balance that is right for HER body, can she be functioning effectively in all areas of her life. After a lot more research and a little trial and error, I learnt exactly what my personal optimal hormone levels were. And best yet, I learnt exactly what I needed to do to achieve and maintain these hormone levels to live my best life. And the results were truly AMAZING - the weight just seemed to slide off, I was able to sleep at night, my energy levels skyrocketed, and I was finally back to the fun, happy Ange my family had all missed. I was so relieved and elated… But the thing that still bothered me after the dust had settled was how HARD it had been to simply feel like me again. I wondered about all of the other women out there who were feeling the same way I had been and were desperate for answers. So, that’s when I decided to compile everything I discovered about hormone imbalance and how to treat it into a book, so that other women could use it to discover their optimal hormone levels and finally become free of debilitating symptoms. …A tribe of incredible women who share the common goal of treating hormone imbalance for greater health and happiness, and refusing to accept that feeling sub-optimal is OK. Yes, I cover natural treatment alternatives in depth within the Power of Hormones. I believe they have a very important role to play in the treatment of hormone imbalances. What Is In The Power of Hormones Package? 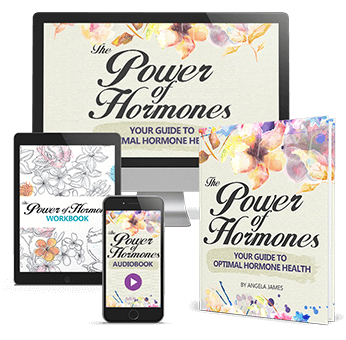 The Power of Hormones package includes a comprehensive book that guides women step-by-step through identifying symptoms of hormone imbalance conditions, interpreting hormone test results, and creating a personalised treatment plan. There are over 140 pages of important information about hormones, imbalance, causes, diagnosis & treatment options. 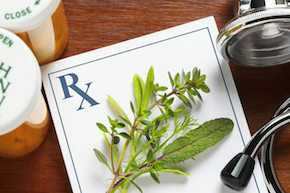 Taken from a holistic approach, readers are guided to identify the right combination of medical and natural treatments that will work for their body and provide long-lasting relief. The aim? To help every woman to achieve optimal hormone balance and feel amazing, by identifying the root cause of her symptoms. The package also comes with a helpful workbook that allows readers to keep track of the health improvements and successes they experience as they progress through the program. 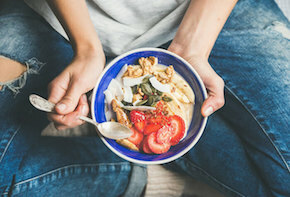 Expert	tips	about	how	simple changes	to	diet	can support	better hormone	health. Recipes included! Many	women	experience	the uncomfortable	hormone imbalance	symptom	of	bloating. 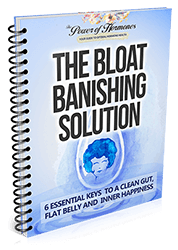 This	book	guides	the	reader	to	reduce	bloating	once	and	for	all. When	hormones	become unbalanced, this	can	take	a	huge toll	on	energy	levels. 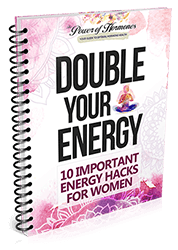 This	bonus book	is	all	about	how	to	get	that energy	back	again. 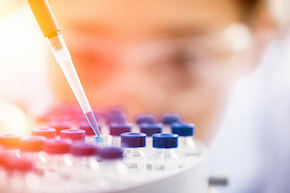 Finding out which hormone (or hormones) need fine tuning can be really difficult. 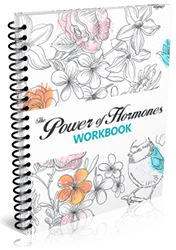 So The Power of Hormones book provides step-by-step instructions on how to recognize and diagnose hormone levels which are sub-optimal. 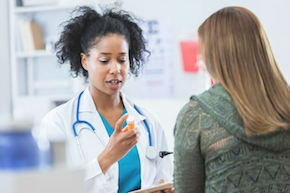 There are so many options when it comes to hormone treatments. That’s why The Power of Hormones covers all options from synthetic medications to natural health. 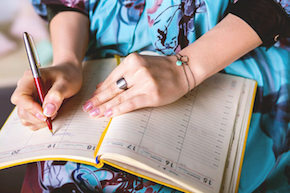 The inclusion of a workbook allows readers to take their notes, reference ranges, questions and results with them when attending doctors appointments. There is a common misconception that High Intensity Training is one of the best forms of exercise. While this might be true for some people for others this type of exercise can harm rather than help hormones. Find out which types of exercises are best suited to supporting hormones. Our diet can affect our body in many ways. Science has shown that certain foods are better at supporting our hormones than others. And interestingly, too much of one food, even if it is healthy, can sometimes do more harm than good. Find out which kinds of foods support better hormone health. 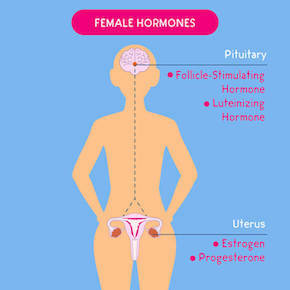 Power of Hormones takes a very holistic approach when looking at hormone health. There is no one size fits all plan. 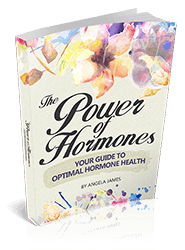 Within the Power of Hormones the book will give readers unbiased information about all the options that are available for supporting hormone health. 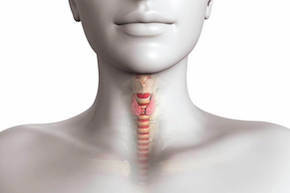 Inside The Power of Hormones is a comprehensive look at thyroid health and autoimmune disease. With autoimmune diseases such as Hashimoto’s on the rise, there is a strong focus on the topic within the book. Estrogen and Testosterone are just two of many important hormones that, once balanced, can have a significantly positive effect on wellbeing. Learn how to support adrenal glands to increase energy and reduce fatigue. If you were to purchase each of these products from our shop you would have to pay $79.95! But if you purchase these today in our POH Digital Package I can offer you a ONE TIME ONLY price, as my way of saying ‘Thank You’ for saying YES to The Power of Hormones today… You can get The POH Digital Package for my super special discount price of just $39.95! If you were to purchase each of these products from our shop you would have to pay $189.95! 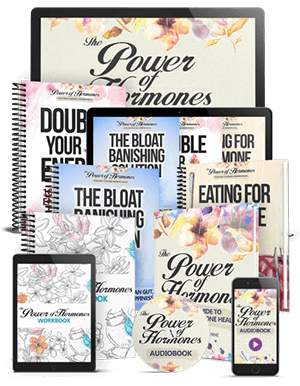 But if you purchase these today in our POH Digital & Physical Package I can offer you a ONE TIME ONLY price, as my way of saying ‘Thank You’ for saying YES to The Power of Hormones today… You can get The POH Digital & Physical Package for my super special discount price of just $99.95! If you were to purchase each of these products from our shop you would have to pay $159.95! But if you purchase these today in our POH Physical Package I can offer you a ONE TIME ONLY bulk price, as my way of saying ‘Thank You’ for saying YES to The Power of Hormones today… You can get The POH Physical Package for my super special discount price of just $99.95! …For someone with minimal knowledge about hormones, reading “The Power of Hormones” feels like going through an excellent summary of hundreds of books on the topic. You could sit in a library for days trying to digest the info by yourself, or you can take an hour or two to read Angela’s book. It’s an easy read, with plenty of lists and tables to refer to, focusing exactly on what you need to know. It’s an easy decision, and if you’ve been living with hormone imbalances, one that might just change your life! …Particularly poignant for me, was the chapter addressing our adrenal glands. 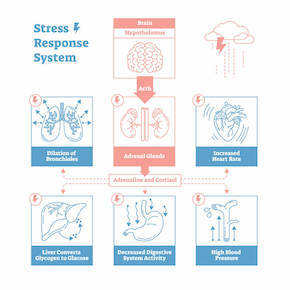 Having experienced almost all the symptoms of adrenal hormone insufficiency and having long struggled with not being able to identify why I was so often feeling burnt out, irrational, faint and dizzy, it was a relief to read that there is an explanation, and with an explanation, a course of treatment. 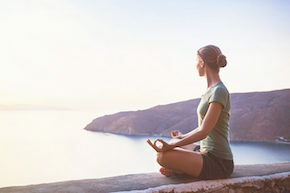 Ultimately, Angela instils in you the confidence to know that you can bring your body back into balance and health by harnessing the power of hormones. During the course of your pregnancy you hear many things about how your body will “change” after child birth and sure I had heard some people say how your hormones will be out of whack but I didn’t believe how crazy it could get until I delivered my first child. When she was just a few months old I was suddenly breaking out in hives head to toe, I was allergic to things I had never been allergic to before AND my weight loss was out of control! Doctors sent me around from Dermatologist, to Allergy specialist even to a Psychologist! Nothing was changing until a girlfriend of mine with Endometriosis lent me your book! Once I started learning about hormones and functions I knew exactly what my issue was and managed with your help to get it under control! I’ve honestly never been so grateful for an eBook in my whole life! Thank you so much! 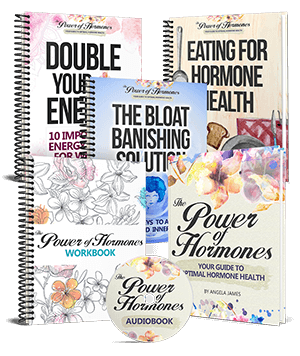 I want buyers to feel completely confident purchasing their copy of The Power of Hormones today, which is why my program comes with a 60 day 100% money-back guarantee! 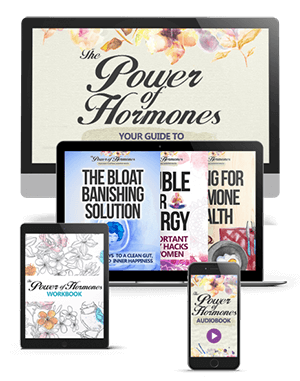 I encourage buyers to simply place a order, download my course and all of the bonuses, and test out my personalised hormone-balancing solutions. 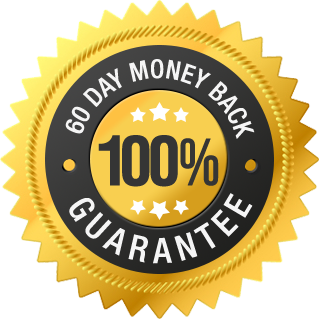 And if at ANY time during the next 60 days members don’t feel 100% happy with their purchase, simply contact our customer support team or Clickbank, and we will refund the customer just a soon as the banks can process it. It really is that simple. Does The Book Explain What Hormone Tests Are Needed? Yes, one of the key things readers need to know is what to ask for in regards to hormone testing. But what’s even more important is being able to interpret test results. I’ve made sure that this is completely covered within the Power of Hormones program. For Order Support, please contact ClickBank HERE.For Product Support, please contact our Customer Happiness team HERE. How Soon Will Buyers See Results? Some people feel (and see) results almost instantly, but it really depends on individual needs and the complexities of each person's particular hormone imbalance. Most members have reported that they have seen significant positive changes in their body and mood within a month or two. We accept returns within 60 days of placing an order. All returns need to be sent to Power of Hormones c/o Vervante Returns, 400 North Geneva Road, STE C, Lindon, UT 84042. How Long Will It Take For The Physical Package To Arrive? All orders will be dispatched in 3-5 working days. The physical package will be sent with USPS and can take up to 21 days and we will send a shipping notification once the parcel has been dispatched which will contain the tracking information. Please don’t hesitate to contact us if you have inquiries about The Power of Hormones.